Introduction: Dentinox for over 50 years have been making simple, but effective medicines and medical devices that a parent can rely on to bring gentle relief for their babies. 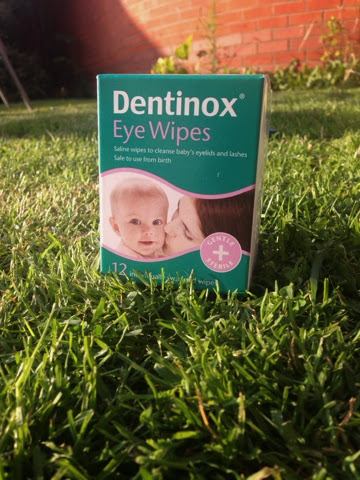 For this review I was sent 2 boxes of Dentinox eye wipes to try out with Summer and over the past few weeks when Summer has experienced sticky and watery eyes we have put them to use with positive results. 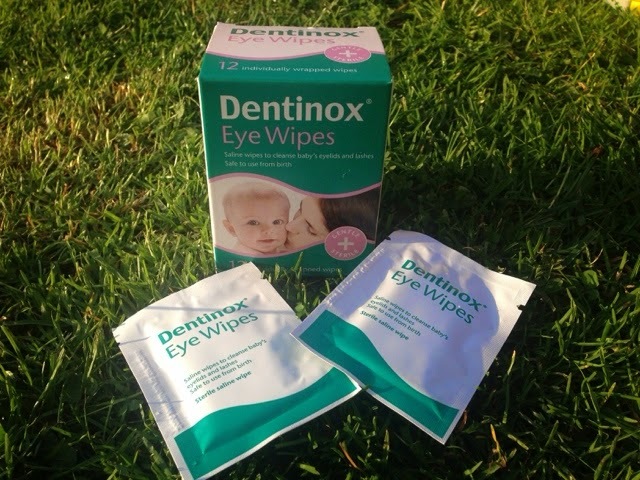 Experience: Summer had a cold the other week, snuffly nose, sticky eyes, and the Dentinox eye wipes were perfect to wipe away the gunk from her eyes each morning, they were simple and easy to use, without causing her any upset - I found them much better to use than using cotton wool soaked in water. Conclusion: These are handy little wipes to have when you have little ones, they are very easy to use and they are caring; also effective by clearing the eyelids and lashes with just a gentle wipe over the eye. They are a great go to product to cleanse and refresh little eyes by removing any watery, sticky or gunky residue as and when needed. I make sure to carry a few wipes in my bag, as well as keeping a few at home.